Neither 2007 nor 2008 are the Years of Wireless. They’re the transition years. The significant events that shaped the U.S. wireless industry in 2007 will carry over to 2008 and most likely 2009 before the industry receives a long-time-in-coming, much-needed makeover that — hopefully — will benefit all the players: the carriers, the infrastructure providers, the handset manufacturers, the developers and, best of all, you, the consumer. Looking back at last100’s coverage of the U.S. wireless industry, three significant themes emerged that, taken singularly, could have qualified 2007 as the Year of Wireless: Life Remotes (the introduction of the iPhone), Disruption (Google’s game-changing involvement in an industry outside its own), and Mobile Lifestyle (mobile apps). Yet each of these are far from complete, or even fully developed, so to say 2007 is the Year of Wireless is premature. We examine some of the events of 2007 and look forward into what promises to be an active, topsy-turvy 2008. Hirschorn’s observation is coming true. The cellphone has evolved beyond voice communications and a tool used by businessmen to a can’t-live-without, multi-facetted device used by everyday people — young and old — to connect to family, friends, and their interests at home and on the go. Increasingly, the cell phone is evolving into an information device — a life remote — to help people manage their busy lives. 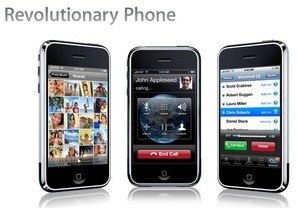 Just note the success of the BlackBerry Pearl and Apple’s much ballyhooed iPhone. Months before the iPhone release, Research in Motion launched the Pearl, a consumer-focused smartphone that extended RIM beyond its usual business/enterprise customer. RIM’s revenue doubled from a year ago. The reason? About 34 percent of new subscribers were consumers and small businesses. The Pearl’s release, however, was buried in the hype over the impending iPhone launch, which came at the end of June. At the time, we asked if the iPhone wasn’t the most emotional product of all time, a somewhat lofty statement but one that’s held true to this day. Why emotional? There was unprecedented interest in it, not just leading up to the release but ever since. It’s hailed by many as the Gadget of the Year, lauded for its design, user interface, ease of use, and how it’s changing the wireless industry. For the first time, a manufacturer chose a carrier, not the other way around — an early sign of things to come. But what’s striking about the iPhone is its emotional impact. It’s creating a “halo effect”, introducing non-Apple users to other Apple products such as its desktop and laptop computers, iPods, and iTunes store. It’s getting people to look beyond their current phones to see the possibility of what the iPhone and similar phones represent — another sign of things to come. Now, as 2008 begins, the Apple love-fest known as Macworld is just weeks away and iPhone speculation begins anew. The iPhone was a surprisingly stout first-generation product, but it still had many flaws, the least of which was using AT&T’s slow Edge network and the choice of going with Web-based applications over user-installed third-party apps. These rough edges are due to change with the second generation iPhone, which is expected to be compatible in the U.S. with the faster 3G networks open to third-party developers when the software developer’s kit is released in February. Expect a second-gen iPhone to be available in the spring, no later than its June anniversary. Also expect some counter-punching from feisty, long-established handset manufacturers with proven track records — LG (already released the Voyager), BlackBerry (new touch-screen Pearls are rumored on the way), Nokia (the world’s leading cell phone maker), Motorola, Samsung, and Sony Ericsson. What we’ve learned from 2007 is that design, user interfaces, and a pleasurable user experience are important innovation points and differentiators in a crowded, staid market that’s about to be turned upside-down. 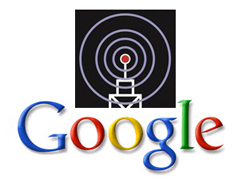 Back in March, Google announced its interest in bidding on the 700 MHz spectrum that will be auctioned off by the U.S. government at the end of this month. The usual maelstrom followed in the tech world: What is Google up to? Why is Google bidding? What will a wireless industry be without the biggies AT&T and Verizon telling consumers what phones we can buy and what applications we can use on their networks? As it turned out, Google got half of what it wanted when the FCC voted at the end of July to approve the rules governing the auction, which undoubtedly will change the U.S. wireless industry landscape. The commission decided to give consumers more choice and freedom, mandating that one-third of the spectrum auctioned must be “open” to any phone and application for use on any network. That was a big victory for Google and, theoretically, consumers. That got us thinking. 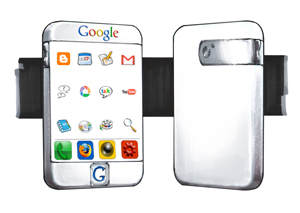 What would a Google phone look like? What would be its specs? Would it be an actual phone produced by or for Google or a Google-powered phone for others to develop and deploy on different carriers? It didn’t really matter. Google’s involvement was sure to rewrite the rules. As it turned out, Google isn’t developing a separate Gphone, per se, but thousands of them through a Google-powered open-source operating system known as Android. The effort also has the backing of a diverse set of companies, which formed a special interest group known as the Open Handset Alliance (OHA). There is no guarantee that Android or the OHA will succeed, but Google’s leadership and involvement is largely seen as a good thing as it shakes up a lumbering industry and reshuffles power structures and business models. In fact, it already has. Among early OHA members were the carriers Sprint and T-Mobile, indicating they would open up their networks. Verizon, the No. 2 carrier in the U.S., has been dead-set against opening its network to any phones and applications it does not sanction. AT&T, the No. 1 carrier, has a somewhat open network (based on GSM standards) but didn’t flaunt that fact to customers. When Google officially said it will bid on the 700 MHz spectrum, Verizon soon announced it was supporting Android and open networks and AT&T, oddly, said its network was already open, they just didn’t tell their customers about it. Open networks, Google’s involvement in wireless, Android, the OHA, the upcoming spectrum bid, and let’s not forget the iPhone all began in 2007 and all will continue impacting the wireless industry through 2008. Exactly what happens will be fun to watch. Consumers are going to need something to do with improved hardware and open networks, and 2007 introduced huge advancements in mobile applications — again, a sign of where things are headed. But like hardware and networks, innovation and development for mobile apps are no where near maturity. During 2007 we saw advancements in the mobile Web, mobile applications, mobile gaming, mobile TV and video, mobile music, location-based services, mobile social networks, user-generated mobile content, and sharing, among others. We think the mobile Web remains illusive until the hardware and networks are improved. We question why we need to watch a complete football game or TV shows on a mobile phone but understand its popularity overseas and where it might be headed in the States. Mobile application developers understand the limitations of tiny cell phones and displays and are designing for mobile, not just porting desktop apps to the mobile platform. Developers realize that word processing and spreadsheets on a phone attract a niche audience and only were marginally successful on PDAs. Instead, developers are pursuing the concept of “snippets” and widgets — smaller, scaled-down applications built for mobile that allow people to view and interact with their information in basic ways, stripping out the complexity and program overkill. Examples are everywhere: Apple’s Calendar, Mail, Notes, and Photos on the iPhone. Google Maps. Mobile YouTube. Weather widgets. Mobile Facebook. Mobile versions of Google applications: search, Gcal, Gmail, Reader, Docs, Notebook, and others for use with the iPhone and Windows Mobile, Symbian, and Linux platforms. The concept of “snippets” and cell phone-appropriate programs is reaching into mobile gaming (short attention games), location-based services, e-commerce and micro payments (quick transactions), and mobile social networks (specific interfaces for Facebook, MySpace, LinkedIn), among many others. And these are based on what was introduced in 2007. Telecom backbone infrastructure providers say they have technology in the labs waiting for introduction, they and the carriers just need to know what to do with it. Ad hoc social networks, micropayments, advertising, HD streaming to mobile devices, real-time gaming, in-world communications (for Second Life and others), advanced location-based services, augmented reality are all possible and some will show themselves in 2008, others in 2009. Carriers realize change is afoot, and while they might react slowly and begrudgingly, they know they need to change and introduce new products and services that take advantage of new hardware, open networks, and advanced infrastructures. One example is music. Sony Ericcson plans a music store of its own. AT&T and Napster have teamed to offer downloads to AT&T phones. eMusic is in partnership with AT&T mobile. MTV, RealNetworks, and Verizon have ganged up on Apple and iTunes. Nokia is working with partners and developing its own services. The list goes on. Success is not a given in 2008. We wonder if manufacturers and developers will introduce elegant hardware and software solutions using the open platform Android, or whether these will be half-assed, unsatisfying, and ultimately disappointing. We worry that the old players, Verizon and AT&T, are only giving in to the whole openness thing just a bit to protect their turf and old business models. We are curious to see how Apple will continue to develop the iPhone as more experienced handset manufacturers strike back with offerings of their own, especially ones using Android. We are concerned that hardware and application solutions will be developed with technology in mind first (the because-we-can mentality), not because it’s what consumers need or want. We’re worried that most people outside the tech world — the majority of cell phone users — will not understand what’s going on, how they can use these new networks and devices in their lives and why should they pay for them. Adoption rates will be slow and frustration will be high. But what was accomplished in 2007 and the promise and uncertainty of the coming year may make 2008 the Year of Wireless after all. Don’t you know about Wireless Grid Corporation that was started by Lee McKnight? This IS the way to connect everything to everything else. This is the MOBILITY that we are looking for. This was an excellent post! I really enjoyed it. I’ve posted a link over at InformedNetworker. I’m really looking forward to what 2008 will bring us.